Urban and political sociology; race and ethnic relations; multi-ethnic coalitions; urban community development; critical ethnography and participant observation; language rights; experiential and service learning; Chicano and Latino communities. “Is Collaborative Community-Engaged Scholarship More Rigorous Than Traditional Scholarship? On Advocacy, Bias, and Social Science Research,” Urban Education Journal, Sage, March, 2018. With Mark R. Warren, Luke Aubry Kupsenk, Gregory Squires, and Celina Su. “Coalition-Building for Inclusion on Campus and Off: Connecting the Immigrant Rights and Educational Justice Movements,” Section on Sociological Practice and Public Sociology, ASA Annual Meeting, Montreal, Canada, August 15, 2017. “Saving Democracy in the Age of Trump,” at Flirting With Fascism: Trump and the Challenge to Democracy Conference, The American Institute for Progressive Democracy, Pomona College, Claremont, CA , November 4, 2017. “Bringing to Center Stage Our Contributions,” keynote address at the San Gabriel Valley Conservation Corps and Youthbuild Graduation Ceremony, El Monte, CA, June 2014. “Seeds of Knowledge for Our Future,” keynote address at the Semillas Community Schools Commencement Ceremony, Los Angeles, CA, June 2014. “We Are Here: Cultivating Our Hope,” keynote address at the 20th Annual Raza Graduation, California State Polytechnic University, Pomona, CA, May 2014. Kettering National Scholar Participant, Kettering Foundation Research Exchange on Work, Action, and Civic Learning, Kettering Foundation and American Association of Colleges and Universities, Dayton, OH, February 2014. “Activist Intellectual: Combining Community-based Pedagogy, Research, and Learning with Social Change,” keynote address at the Faculty Development Symposium, Oakton College, Chicago, IL, January 2014. “Media and Politics in the School Reform Movement,” paper delivered at American Sociological Association Urban Workshop, New York, NY, August 2013. 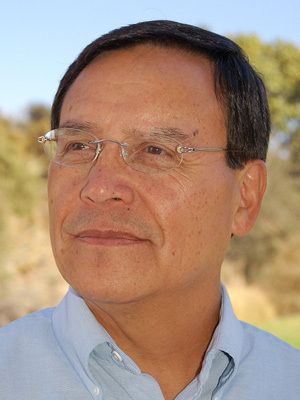 Professor Calderón was quoted in “Pilgrimage in Pomona Honors Cesar Chavez,” Inland Valley Daily Bulletin, April 12, 2014. “Finding Cesar Chavez: A Transformational Moment,” TEDxClaremontColleges, March 31, 2014. “Building on the Legacy of Cesar Chavez,” Inland Valley Daily Bulletin, March 27, 2014. “Toward an Economic Justice Plan in Pomona,” Inland Valley Daily Bulletin, September 6, 2013. “Affirmative Action Must Remain Part of College Admissions Policies,” Inland Valley Daily Bulletin, June 27, 2013. Elected to Committee on Committees, American Sociological Association, August, 2017. Chair of Public Understanding of Sociology Committee, American Sociological Association, August, 2017. “Transformative Community Engagement: Democratic Trend for Transformative Community Engagement: Democratic Trend for the Future” in The Cambridge Handbook of Service Learning and Community Engagement, edited by Corey Dogon, Tania D. Mitchell, and Timothy K. Eastman, Cambridge University Press, 2017. Received the Pomona Economic Opportunity Center (PEOC) Community Award for founding the PEOC and developing links between academia and day laborers, Pomona, CA, June 2014. Invited as past recipient of the Richard E. Cone Award for Excellence & Leadership in Cultivating Community Partnership in Higher Education to join other awardees at the California Campus Compact Richard E. Cone Retreat, Ben Lomond, CA, June 2014. Appointed to consult on the development of a new university based on community engagement at the New University on Community Engagement Forum organized by United for Rio Grande Valley and University of Texas, McAllen, TX, November 2013. Professor Calderon and students from the Rural and Urban Social Movements class (SOC/CH155) joined local leaders, parents, students, teachers and community groups on the 12th Annual Community Pilgrimage to honor Cesar Chavez. The pilgrimage was led by Andres Chavez, the grandson the civil rights leader. Pomona, CA, April 2014. Appointed to the American Sociological Association’s Program Committee for the 2009 and 2010 Annual Meetings in Atlanta, Georgia; ASA Distinguished Career Award for the Practice of Sociology; Emeriti president of the American Sociological Association’s Latino/a Section; ASA Committee on Sections. Recipient of 2004 Richard E. Cone Award for Excellence and Leadership in Cultivating Community Partnerships in Higher Education, presented by the California Campus Compact (CACC) to individuals who demonstrate excellence in building partnerships between communities and higher education. “One Activist Intellectual’s Experience in Surviving and Transforming the Academy,” in Transforming the Ivory Tower: Critical Analyses of Sexism, Homophobia, and Racism in the Academy, edited by Mary Danico and Brett Stockdill, University of Hawaii Press, Forthcoming, Fall, 2011. “Partnership in Teaching and Learning: Combining Critical Pedagogy with Civic Engagement and Diversity” and “Connecting Classroom Pedagogies to Community-Based Service Learning” in Diversity and Democracy: Civic Learning for Shared Futures, Vol. 11, No. 2, Spring, 2008. Race, Poverty, and Social Justice: Multidisciplinary Perspectives Through Service Learning. Herndon, VA: Stylus Publishing, 2007. Syllabi and Instructional Materials for Chicano/a and Latino/a Studies in Sociology, Sixth edition (edited with Gilda Ochoa), American Sociological Association Teaching Resource Center, 2006. “Organizing Immigrant Workers: Action Research and Strategies in the Pomona Day Labor Center” (with Suzanne Foster and Silvia Rodriguez) in Latino Los Angeles, Edited by Enrique C. Ochoa and Gilda Laura Ochoa, Arizona State University Press, 2004. “Inclusion or Exclusion: One Immigrant’s Experience and Perspective of a Multicultural Society,” Minority Voices: Linking Personal Ethnic History and the Sociological Imagination. Ed John Myers. Boston: Allyn & Bacon, 2004: 106-120. Finalist for the Thomas Ehrlich Faculty Award for Service Learning, Campus Compact. United Farm Worker’s Union “Si Se Puede” Community Award for life-long contributions to the farm worker movement.